Settings: Printed on a Replicator 2 on .3mm/low setting, at 1:50 scale. 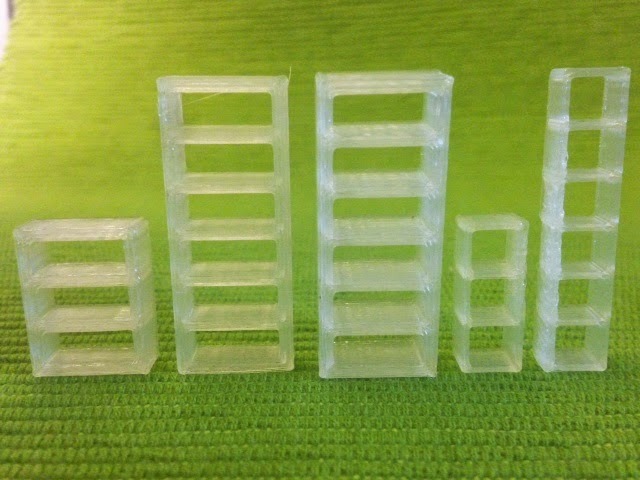 Technical notes, OpenSCAD flavor: The code for these bookcases uses the scaling factors and cuboid module from Day 248. The bookcase models are made by making a cuboid shape to enclose the bookcase, taking away the inside, and then adding shelves. The most difficult part was getting the shelf heights and gaps right so that the code can accept any number of shelves and return an evenly-spaced bookcase. We decided to make these with no backs, but it would be easy to add backs to these if desired. 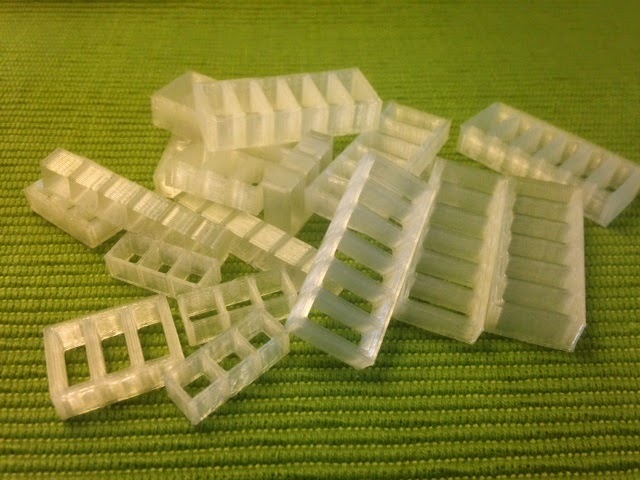 They print lying down so that no supports are needed.